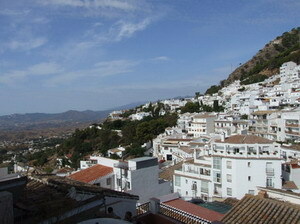 Traveling down the Costa del Sol in southern Spain has never been more fun and exciting. New attractions are popping up everywhere it seems, with something for everyone (to use the ancient cliché). Of course the existing attractions are great too. The following is a brief introduction into what is on offer, but bear in mind there is so much more just waiting for you. Having set yourself up comfortably with a Costa del Sol holiday villa or apartment somewhere along this sunny coast, you are feeling independent and at home with your surroundings. Now it’s time to set out to explore the coastal highway and all the interesting options available to you along the way. 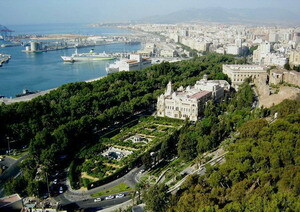 Let’s start with Málaga and while the city has endless attractions, probably the most interesting includes Museo Picasso Málaga, or Picasso Museum, where you can browse some of the iconic artist’s work, along with paintings by other famous artists. While thinking Pablo Picasso, you can even visit the house where he was born, right in the heart of the city. For those with a penchant for really great automobiles, Málaga boasts the amazing Museo Automovilístico de Málaga (automobile museum) which is the stunning private collection of one Joao Magalhaes, a Portuguese car fanatic. The collection is reportedly worth around 25 million euros and includes vehicles from the 20s, 30s,40s and 50s. Among these vehicles are such famous names as Hispano Suiza, Bugatti, Delage, Packard, Auburn, Rolls Royce, Bentley, Jaguar, Mercedes and Ferrari, among others. You can read more and see a video presentation here. Heading further along the coast, make sure you take a cable car up to the eagle sanctuary on Calamorro Mountain, just above Benalmádena Costa. Here you can enjoy not only stunning views across the coastline and out to sea, but also exhibitions of predatory birds, including hawks, eagles, owls and vultures and can participate in mountain climbing and walks with footpaths leading to different viewpoints. Again Benalmádena Costa has more options than are mentioned here, but let’s carry on further down the coast to Fuengirola, a popular seaside resort frequented by locals as well as British, German and Scandinavian visitors. One of the town’s best attractions is a lush, green and leafy oasis, right in the middle of town. Originally called Fuengirola Zoo, this attraction went through a massive upgrade some years ago and is now known as Bioparc Fuengirola. Here we can visit some of the most iconic creatures from Asia and Africa, all living in realistic and spacious enclosures and many are actively breeding there. Bioparc Fuengirola is also active in various projects to save endangered species worldwide. Carrying on down the coast, all the way to Estepona, we find another animal paradise, Selwo Aventura Estepona, where you can experience a safari adventure and learn more about conservation of wildlife in Africa. The park is also a photographer’s dream as you can capture images of rhinos, zebras, giraffe, lions and hippos, all running loose in the beautiful Spanish countryside. The newest additions to the fun in the sun have recently popped up in Marbella, Puerto Banus and Fuengirola and they are known as “CostaWaterPark. 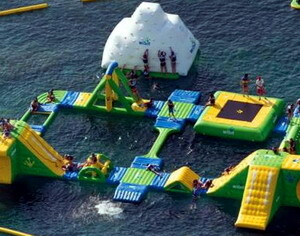 “ To quote their website, this exciting new option includes a variety of “water slides, trampolines, jumping cushions, climbing walls and many other challenging attritions, in all shapes and sizes,” all grouped together just off the beach for your summer fun. 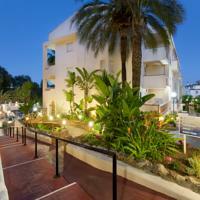 So come and join the fun on the Costa del Sol this summer, or any time of year for that matter, and have a great time. This property is 2 minutes walk from the beach. Set in the heart of the Costa del Sol in La Cala de Mijas and only 100 m from the beach, Hotel Carmen features air-conditioned rooms, free Wi-Fi and a café bar. Rooms feature modern décor and offer plenty of natural light. Some of them have a private terrace overlooking the sea. Each room includes a flat-screen TV and a private bathroom. A continental breakfast is served in the property's café bar. Numerous bars and restaurants can be found nearby. 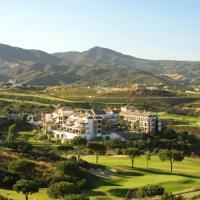 There are also several Golf Courses less than 10 minutes’ drive of the hotel. 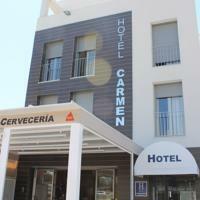 Fuengirola is 10 km away and Málaga Airport is 30 minutes’ drive from Hotel Carmen.